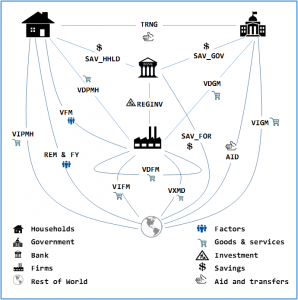 The new MyGTAP database, with split households and income flows, requires a new model designed to handle this customized data – the standard GTAP model is not capable of accepting these new data flows. The MyGTAP model is an enhanced version of the Standard GTAP model including capabilities to handle your revised household income and expenditures, augmented foreign income flows, and transfers. An important feature of the MyGTAP model is the option to replace the constant difference of elasticity (CDE) household consumption function with a liner expenditure function (LES-Stone Geary). The LES consumption function is better suited to modeling subsistence consumption – an important feature for researchers in developing countries. 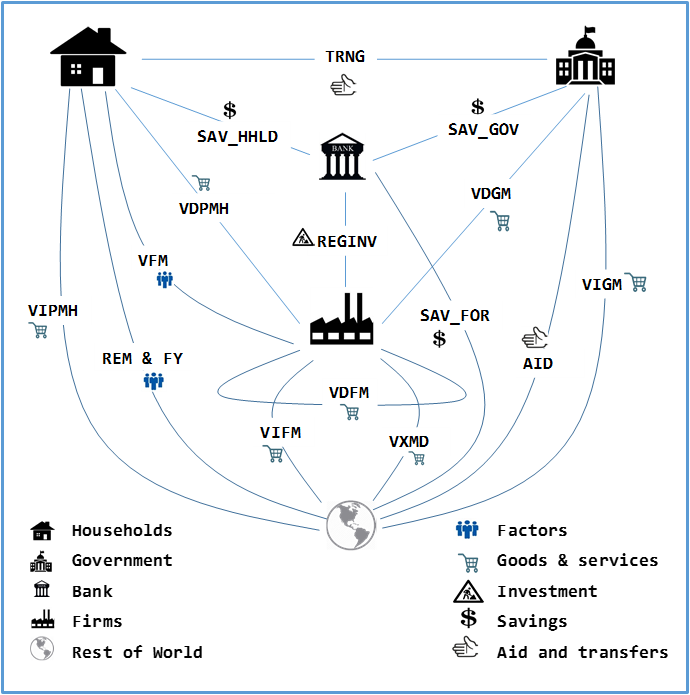 The user may specify the LES to be used in low-income countries, and the CDE to be employed in higher-income countries, thereby obtaining the benefits of both approaches where they are best applied. The MyGTAP model is programmed in GEMPACK and is provided with all the files required to integrate the model code into RunGTAP. All features of RunGTAP including altertax, GTAPView, volume changes and welfare decomposition are supported.